The college is situated in the heart of the city. Apart from being the Garden City, Bangalore is now the natural choice and preferred destination for students from different parts of the country to pursue professional education, be it in Engineering, Medicine or any other field. The city is home to globally renowned corporate houses in the IT sector. The distance to the college from the city railway station and Bangalore airport is 7 kms & 15 kms respectively. The college has an excellent infrastructure and accessibility from various parts of the city. The college has a well designed administrative block and various other rooms and facilities for the students such as girls common room and boys common room, waiting room, co-operative store etc. It has provided well equipped furnished labs for basic sciences separately and other departmental laboratories as per the norms of AICTE & University. Each section of students has separate classrooms and facilities as per the norms of the AICTE. Class rooms are well furnished and ventilated. Audio visual Room is provided with all teaching aids, OHP, Slide Projector, Television, Video Player, LCD Projector, Video Camera, Still Camera, DVD, Multimedia Computer, Audio Systems, Microscopic Projector, etc., in order to ensure overall development of students. 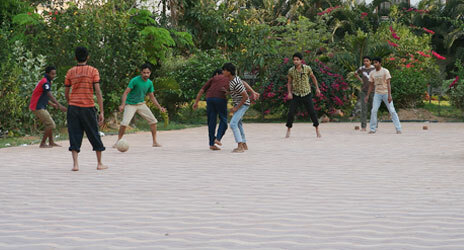 The students have all the facilities for games and sports. Adequate infrastructure are provided for indoor and outdoor games and extra-curricular activities. 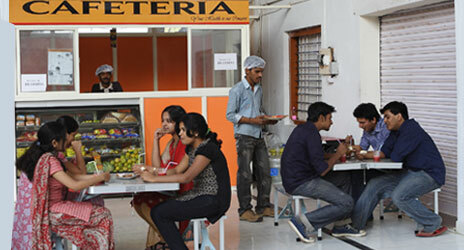 A canteen with both vegetarian and non-vegetarian food is also available in the college campus. The college building has made more provisions for the expansion. Other facility consists of Drawing Hall, Conference Hall etc. RGIT provides bus facility for students to commute from different parts of the city. 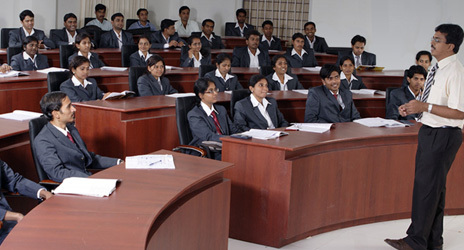 Separate hostel facilities are provided for Boys and Girls in the college campus. It has adequate high security and good discipline. Each room has an attached bathroom. 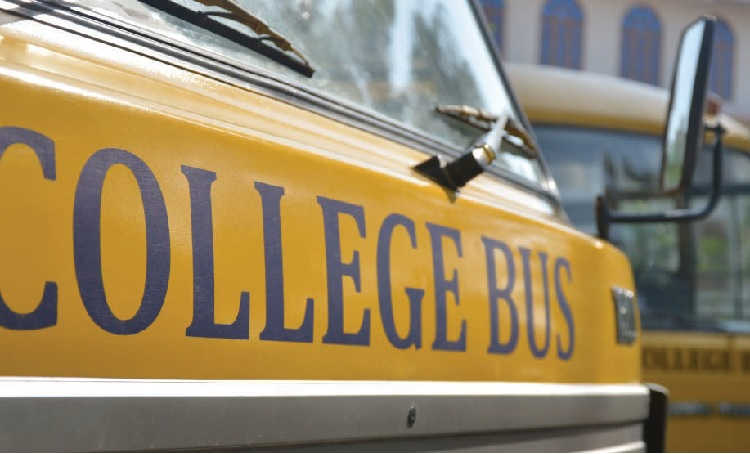 The students who are not staying with the parents shall reside in the college hostel as per college rules. The canteen of the college provides food in the hostel also. Access to information is a vital key in developing the individuals potentiality. RGIT has provided a central library consisting more than 10,000 volumes of books and adequate number of journals. All the latest editions of books both for reference and text are available in this library. It also subscribes to various newspaper and periodicals for the information and update of their knowledge. The journals of both National and International, related to all engineering subjects are also subscribed. The interventions of Information Technology has provided a great gap in the case of Library automation services. The Library is computerized with all the features of library management system. The library also maintains e-books for students and it has the digital library facility for all the students with the internet connection. The library is spread over 6000 sq.ft. and has the seating capacity of 250 students in its reading sections. Mr. C. Mallikarjuna is working as Senior Librarian .Has 9 years of experience (Academic & Special Libraries). There's no such thing as automated food delivery. It takes the best, the brightest and the most caring people to deliver Canteen's delicious food, superior service and innovative dining solutions. This college has an excellent teaching faculty with highly qualified and well experienced staff. The teacher student ratio is maintained at 1:10. All teachers are full time and the students are given special attention in their studies. The excellent results in the university examination is due to dedicated, constant effort by staff. The teaching aids used by the staff are modern and helps the students to learn the subject thoroughly. Parents teachers meeting is held periodically after each internal test and students performance is furnished to the parents directly.